Given all the headlines about opioid abuse, it’s important to remember that the most abused drug in America is alcohol. An estimated 17.6 million people – 1 in every 12 adults – suffer from alcohol abuse or dependence, and they are joined by millions more who engage in binge-drinking behavior that can lead to more serious problems. That’s why there is a pressing need for quality outpatient alcohol rehab services, in addition to other treatment options. In this overview, we provide information on evidence-based treatment options, carried out by licensed and accredited physicians, psychologists and other professionals who can offer effective methodologies for treating the disease of alcoholism. Alcohol abuse disorder (AUD) is a complex condition that arises from a combination of genetic, environmental, behavioral, and social factors that make it difficult to fight on one’s own. Most people with an alcohol abuse problem find it very, very difficult to stop without professional help. One option that allows people to get that help – and in a setting that doesn’t completely disrupt your everyday life – is outpatient alcohol treatment. These programs allow people to receive treatment at a local clinic or facility either daily or a few times a week while returning to their home (or other living arrangements) during non-treatment hours. In this article we’ll provide an overview of outpatient alcohol rehab programs. For more information, or to ask questions, please call our 24-hour hotline at (888)-459-5511 to speak with a knowledgeable representative. What Types Of Outpatient Programs Are There? What Happens In An Outpatient Alcohol Treatment Center? How Do You Choose The Best Alcohol Outpatient Treatment? What IS outpatient treatment for alcoholism? Outpatient alcohol treatment centers provide an excellent option for those who know that they need help to combat their addiction, but are unable to stop working or forego other responsibilities to get that help. Inpatient care may be the best choice for those who have a long history of alcohol abuse, previous failed attempts at treatment, or a diagnosis of psychiatric disorders. But alcohol outpatient rehab is often a more viable solution for those who need to continue in their daily work activities, family responsibilities, and community obligations. Non-residential programs to treat alcoholism are offered in community health clinics, in doctors’ or psychologists’ offices, or in some residential addiction centers that are equipped to additionally support outpatient care. Outpatient treatment is appropriate for those whose addiction is not severe, whose lives are fairly stable, and who are willing to participate in and commit to the treatment plan. Outpatient treatment is also often recommended as a form of “continuing care” for those who have completed an inpatient treatment program, to help maintain the long-term effects of recovery and prevent relapse. In addition, the lengths and intensity (number of sessions per week) of outpatient treatment programs can often be flexible, which makes them more suitable for people who are unable to take extended absences from work or their personal responsibilities. Outpatient alcohol treatment also tends to cost much less than inpatient care. One of the things to bear in mind when reading this article is that when we refer to outpatient alcohol rehab we are NOT speaking about community support groups such as those provided by Alcoholics Anonymous. While these groups have their place and have managed to help many people, they are primarily staffed by volunteers with little or no medical or psychological training, and thus may not be appropriate for those with a serious alcohol addiction problem. These programs offer essentially the same types and quality of care that you would receive at a residential alcohol treatment facility, just on an outpatient basis. What types of alcohol outpatient programs are there? Individual or group counseling. Individual sessions may focus on ways to stop alcohol use and more effectively manage aspects of life such as work and family relations. Group counseling sessions can also be effective due to the reinforcement gained from peer discussion and support. Family counseling, which can provide a safe environment in which the entire family can get together to learn how to deal with the emotional pain and suffering that can result from alcohol abuse. Cognitive behavioral therapy (CBT). The goal of this type of treatment is to help prevent relapse by helping patients to understand the triggers for alcohol abuse and its consequences. CBT trains patients how to recognize states of mind that make them susceptible to relapse, and how to handle them when they arise. Contingency management therapy. This technique encourages alcohol-free behavior by providing positive reinforcement, in the form of rewards and privileges. It is often a voucher-based system, in which patients “gain points” for participating in counseling sessions or other therapies. What to expect in outpatient alcoholism treatment centers? Treatment schedules at outpatient clinics will vary – some programs can last for 30 days, others for longer periods of time. In general, a commitment of at least 90 days is recommended to achieve the most positive outcome. Based on the recovery progress, the length of a course of outpatient treatment for alcoholism can either be extended or shortened, based on the recommendations of the professionals doing the treatment. Whatever the length of recommended treatment, however, the entire program should be completed, because outpatient programs are designed around a curriculum that covers certain topics, presented in a certain order. An initial intake assessment. During this initial meeting, patients are asked to talk openly and honestly about themselves. There are questions about the frequency and extent of the alcohol use, and depending on the facility there may be a physical examination and drug testing. Though these things may feel like an invasion of privacy, in fact, it will enable the counselors to design the most effective rehab program for each patient. A detox period. Depending on the severity of the addiction, patients may be required to complete a period of detoxification, to overcome the physical withdrawal symptoms caused by suddenly stopping the use of alcohol. These detox programs are medically supervised because some symptoms can be uncomfortable. Therapy, medication, and education. 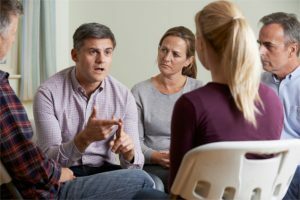 The cornerstone of most outpatient alcohol programs is psychotherapy, in which patients participate in individual and group counseling sessions. If appropriate, some cases of alcoholism can respond well to medications that minimize the cravings for alcohol or make it less pleasurable. Also, an important part of recovery is understanding the mechanics of alcoholism and how alcohol works in the brain, so there will be numerous educational sessions about the disease of alcoholism and how to overcome it. Aftercare. One of the most important aspects of alcohol outpatient treatment is the transition back to the community, with a support structure in place to help apply the lessons learned in treatment. This can include participation in peer support groups and the creation of a personalized relapse prevention plan. 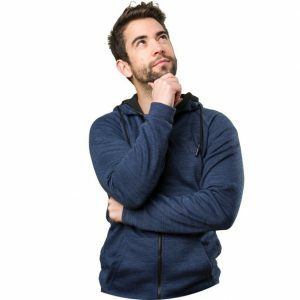 How does one choose the best alcohol outpatient treatment? If the decision has been made that outpatient treatment for alcoholism is the best choice, the next step is to choose where to get that treatment. It is important to not make a rushed decision when choosing an outpatient alcohol rehab option, because the more comfortable someone is with the program, the better it will work. Location, Location, Location. To commit to a type of treatment that involves attending sessions daily or several times a week, a program that is close to home and easy to get to is important. Examine the center’s methods and treatment protocols. Most facilities will offer similar basic services, but there will be variances in the types of counseling, therapy, and treatment methods. There may also be variances in the philosophy that underlies these methods – for example, the difference between religious-based AA/12 Step programs and more secular SMART programs. Ask how long a stay or commitment they recommend. The most common length of programs at out patient alcohol treatment centers is 28 days, but in some cases, a longer stay can increase the chances of achieving sobriety. What ongoing support programs do they offer? Long-term alcohol abuse can lead to numerous health and psychological problems. Do they offer services to help with nutritional advice or ongoing counseling on how to handle depression, irritation, “triggers,” and other obstacles to continued sobriety? Ask what the goal of the program is. Some alcohol rehab outpatient programs measure success as simply “completing the program,” while others consider complete abstinence from alcohol after the program is over the only marker of success. Ask about relapse rates. The program or facility should be able to supply basic statistics about what percentage of participants 1) complete their programs, and 2) achieve ongoing sobriety and avoid relapse. If the facility cannot supply them, or if they seem reluctant about discussing them, keep looking. Also ask what in particular they do to prevent relapses. We hope that this overview helps explain the most important aspects of effective outpatient alcohol treatment options. We understand, however, that finding the right program can at times feel a little overwhelming. So if there is anything we can do to help, give us a call at our 24-hour hotline at(888)-459-5511 to speak with a knowledgeable representative.